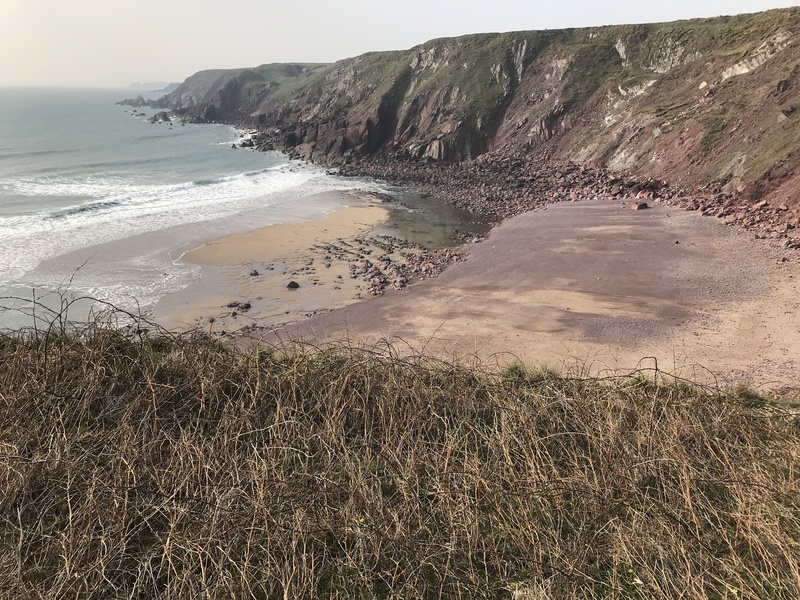 < Episode 123 – Change of scenery on the Wales Coast Path to South Pembrokeshire. Walking 35 miles from St Ishmael via St Ann’s Head, Martin’s Haven, Little Haven, Broad Haven, Mill Haven and Nolton Haven to Newgale. The new grand total of 4,116 miles on my route round England and Wales, not counting one last sad visit to Christa in Berlin.